The Litchfield Camp 132 of the Sons of Confederate Veterans is comprised of male descendants of Confederate Soldiers, who served honorably during the War for Southern Independence. 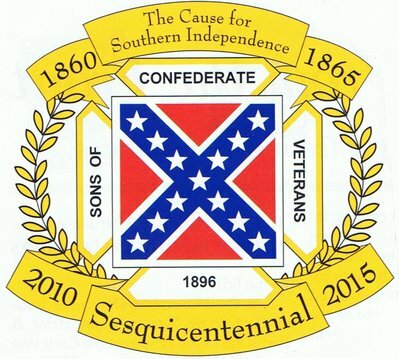 We are an International, Multi-racial Historical Honor Society formed in 1896 from the United Confederate Veterans. Our primary purpose is to educate the public regarding the Southern Cause in the War Between the States, preserve the Truth of Southron History and uphold the values of Liberty and Freedom from tyranny that our ancestors fought bravely to secure. We work to maintain the cemeteries and gravesites of Confederate Veteran soldiers for posterity and to preserve the symbols of Dixie and southron Heritage. In addition, we proudly uphold the banners, symbols and flags connected to the Confederacy, as honorable and worthy of respect. We denounce all attempts by any racist group to dishonor and discredit the Symbols of our Heritage. Just remember that the Southron way of life is in danger from all the political correctness. The deeds & bravery of our Ancestors will soon be forgotten, if we do not continue to preserve their memories and their history.If you have a Confederate Ancestor and would like to join the SCV, please contact us and make your Ancestor proud, that we still remember their sacrifices.